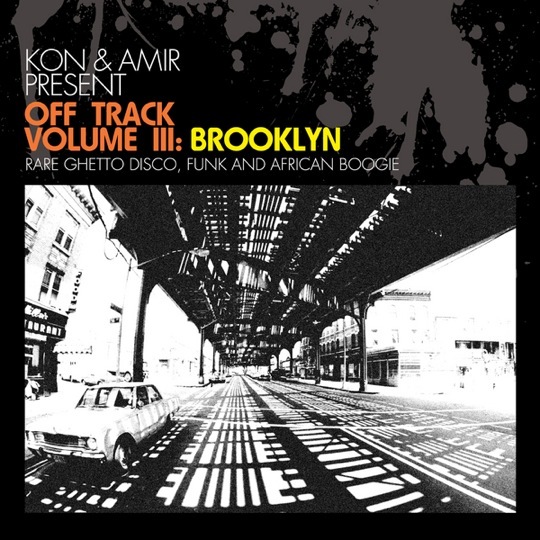 DJ’s Kon & Amir once again unearthed a number of vinyl gems for their upcoming release Off Track Volume III: Brooklyn. The compilation, which is set for an April 26th release, highlights some in known African disco and soul from the 70’s and 80’s. The eclectic African disco and soul cuts Amir highlights on his disc are Americanized by style but inherently authentic in feel, demonstrating the very best of the region’s dance music from the period following Fela Kuti’s mid-70s creative peak. Some standouts: Tee Mac’s 1980’s insistently catchy ‘Living Everyday’; Effi Duke’s percussive masterpiece ‘The Time Is Come’; and Christy Essien’s glorious ‘You Can’t Change’, which features famed bandleader Geraldo Pino’s Show Train outfit. Also in the mix are a couple of cuts from unsung Nigerian star Dizzy K. Falola aimed at sophisticated dancefloors. on the topic of my presentation subject, which i am going to convey in school.